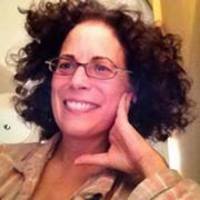 Should a classics prof. publish her blog when going on strike? Why not? Blogging is not an activity I am contracted to do. It will have no effect on the speed at which my employers do or do not decide, finally, to return to the negotiation table. So in honour of my striking colleagues and our wonderful student supporters across the nation, here’s my potted retrospect of the relationship between ancient world studies and strikes. 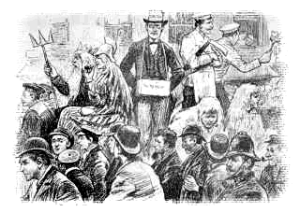 One of the landmark strikes in British Labour History was organised by the London dock workers in 1889. 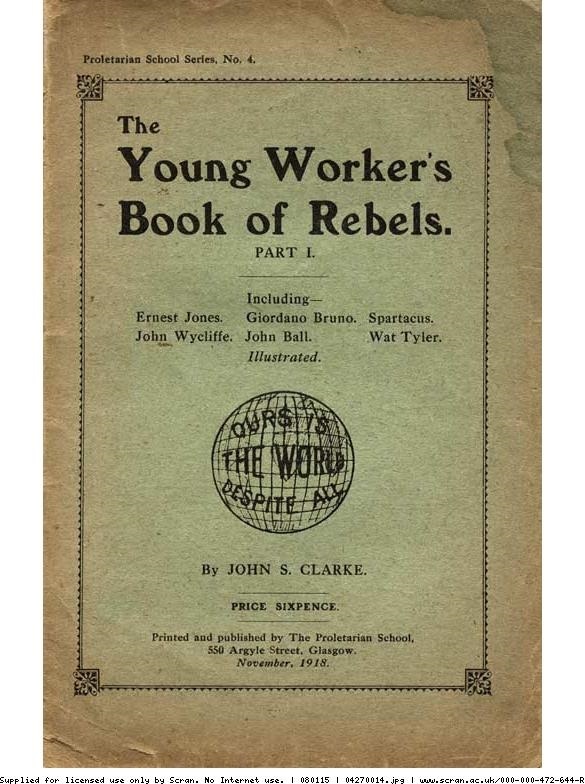 It resulted in pay concessions and the recognition of trade unions as a political force to be reckoned with. A peaceful approach to protests, especially carnivalesque processions, successfully engaged public sympathies. Dockers dressed up as figures from classical mythology—Neptune, a helmeted warrior she-god, and Hercules, a hero with whom dock workers, as sellers of their own muscle power, often identified. 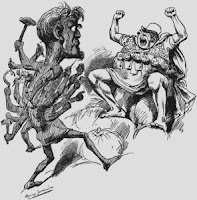 Jump forwards to 1890, and the cartoon published in Punch to comment on a year of industrial unrest in Bristol. Mr Punch takes Chronos on a tour of the planets. Saturn says that a new Titanomachy—fight between Zeus/Jove and the Titans—is taking place. Jove is Capital, sitting on the ramparts of Privilege, and ‘bastioned by big bags of bullion.’ He wants to treat all the Titans as his servants. 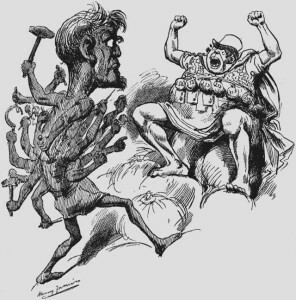 But Labour-Briareus, a son of Gaia and Uranus with a hundred hands, is not letting Jove/Capital get off lightly: ‘But look at the huge Hundred-Handed One, armed with the scythe and the sickle, / The hammer, the spade, and the pick!’ However many hands Capital may succeed in removing, the Labour movement can sprout more. The leader of a Roman slave revolt was the chosen hero of the great novels of ‘Red Clydeside’, Lewis Grassic Gibbon’s Spartacus (1933). The way the narrative is framed made it impossible for readers not to draw parallels between Crassus’ army and the British Ruling Class during the Great Depression. And in 1980,Triton was imagined as working-class leader by an anarchist group in London. 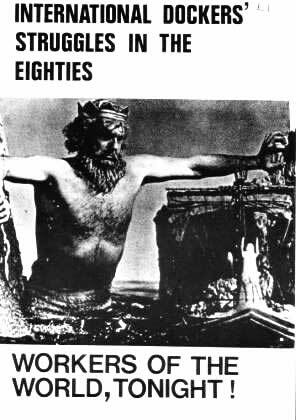 They used this still from Don Chaffey’s Jason and the Argonauts (1963) to protest against the threat that containerization posed to traditional dock-workers’ jobs. 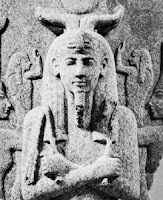 The fish-tailed god no longer parts the clashing cliffs for the Argonauts to pass through unharmed, but instead represents the power of the self-organised and unified dockers. The predicted cold weather suggests that I won’t want to dress up as a sea-god, snake-strangler or gladiator on the picket line tomorrow in defence of reasonable pensions for university teachers in old age. 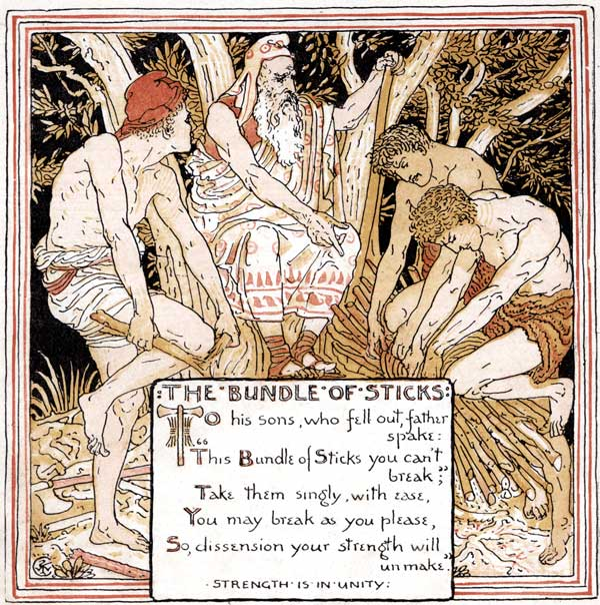 But I do know that the classical image which has most inspired me personally is Aesop’s fable of the twig bundle, which often appeared on early Trade Union banners. The fable said that a father, worn out by the quarrels between his sons, asked them each in turn to break a tightly bound bundle of twigs. Each son failed. Then he asked them to break a single twig, a feat which they easily accomplished, because strength lies in unity. 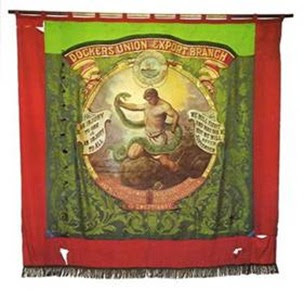 So the fable was integrated into the banners of several unions, for example the 1898 banner of the Watford branches of the Worker’s Union and the Ashton & Haydon miners’ union. I knew all the research I did with Dr Henry Stead for our Classics & Class project would come in useful one day! My preferred placard would reproduce this illustration—complete with the red pileus cap of the ancient freedman and modern revolutionary--from the beautiful Baby’s Own Aesop by socialist artist Walter Crane: striking colleagues, UNITY IS STRENGTH!! I’m at Northwestern Uni, Illinois, where I’ve been asked to address the Latest Trendy Thing Classics has borrowed from other disciplines: ‘New Materialism’. 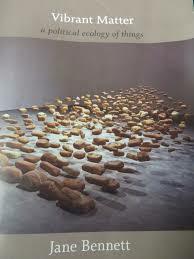 New Materialism says inanimate things have agency. Humans oppress things. The trendiest New Materialist, Jane Bennett, wants ‘to counter the narcissistic reflex of human language and thought.’ She thinks Matter needs to be discussed without thinking (yawn!) 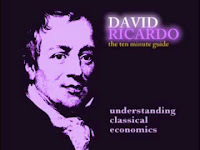 about ‘human labour and the socioeconomic entities made by men and women using raw materials’. Prof. Bennett, Johns Hopkins Pol. Sci. Please. The idea that academia been too focused on thinking about labour is preposterous. Only a scholar working in a country like the USA, where only about 20% of the workforce is engaged in agriculture or industry, the other 80% operating at a more or less extreme degree of alienation from the processes of material production, could possibly hold such an opinion. But try claiming that we are too focused on labour and the socio-economy to a citizen of Zambia or of Burundi, where the percentage of the workforce labouring in agriculture or industry is 96%. Globally, 40% of the workforce still works in farming, often at subsistence level in grinding poverty. Every year sees an increase in the number of humans involved in industrial labour. New Materialists are Virtue Signallers who argue that they occupy higher moral ground than the rest of us anthropocentric narcissists. But Classicists—Be Warned! 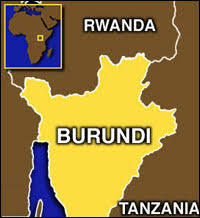 Ancient society, in terms of its relations of production, was far more similar to modern Burundi than to the UK or USA. If we are to understand the role of materials and objects in a play written in 458 BCE in Athens, then we would be well advised to ask how those materials were thought about in that society by—er, humans—as well as their ‘vitality’ or ‘thing-power’. The purple dye used to make the carpet which Aeschylus' Agamemnon tramples in his display of inter-class insensitivity crystallises millions of hours' labour, long before any weaving began. To obtain the amount needed to dye the TRIM of a SINGLE robe, 12,000 shellfish had to be culled alive and the vein containing the purplish mucus extracted and processed. The Phoenicians' most famous export was literally worth more than it weight in gold. The Labour Theory of Value was not actually invented by Marx and Engels, but developed by them from the classical economics of Adam Smith and David Ricardo, who sought to understand how commodities acquired prices relative to one another in early industrial capitalism. No other theory has ever explained so satisfactorily the relationship between value of commodities and income distribution across classes. When it comes to pre-industrial societies, the sheer scale of the man- and woman-hours needed to keep up the supply of commodities produced relationships between humans and humans (slavery) and material objects unimaginably different to our own. I, for one, will not be abandoning all the advantages of thinking about how ‘things’ crystallise human labour, at least when considering classical, pre-industrial society, by jettisoning it in favour of the allegedly ‘radical’ (i.e. dehumanised) ontology of matter which the New Materialists are trumpeting. [This is a summary of an article soon to appear in Melissa Mueller & Mario Telò (eds.) 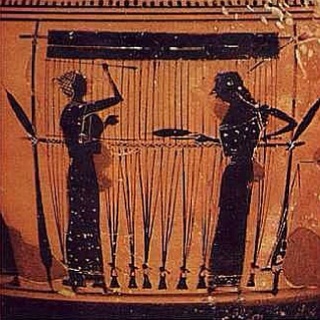 The Materialities of Greek Tragedy. Bloomsbury].